As the news of the UFC sale to new owners WME | IMG becomes a public story, some of the more well-known faces and fighters are starting to comment on the situation. As reported earlier this afternoon, UFC Featherweight Champion Conor McGregor was one of the first fighters to react to the news after it became clear that the sale had in fact gone through. Additionally, Joe Lauzon released the actual mass email that was sent to the entire active UFC roster of fighters informing them about the UFC sale. 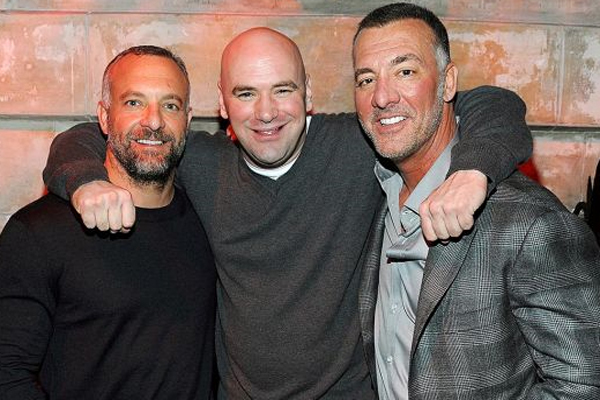 Dana White will remain with the company under the new ownership in basically the same role he has been in for years, as UFC President, and Lorenzo Fertitta and Frank Fertitta III will continue to own a minority stake in the company. In addition to McGregor, several other UFC and non-UFC fighters and personalities from the MMA world have taken to social media to comment on the story. Below are some of the tweets related to the news of the UFC sale. There are so many fighters, I don’t mind the mass email. I’ve had nothing but the best experience with the @UFC but excited for the future. I am honoured to have fought under the Fertitta regime! To have been mentored by these great people on this great business is a true honour! Congrats @DanaWhite & @LorenzoFertitta nice investment. 4 bil… I was probably worth more and so was everyone else right? Congrats on the great investment years ago @danawhite @lorenzofertitta Looking forward to seeing the @ufc grow even more! 1 single move that would change the sport for the best, literally overnight..
UFC worth as much as Star Wars. Pretty damn crazy. I'd rather have Star Wars. Good… New blood new things. Good for them. Grow something and make money. That's the world. I wish it was me. UFC SOLD!?!?! Let the games begin!